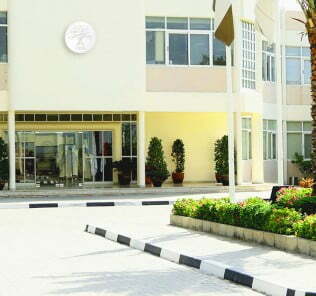 (1) GEMS Welllington International School offers alternative (1) International Baccalaureate Diploma; (2) International Career-related Programme; (3) International Baccalaureate courses only (Certificates); and (4) BTEC Pathways following IGCE for children between the ages of 16 and 18 years. (1) GEMS Wellington International school has a mixed academic profile of students with (in our view an )outstanding choice of Post-16 pathways to meet the spectrum of abilities. •	Outstanding Key Stage 4 options - with exceptional and thoughtful focus on the needs, potential and gifts of individual children. •	Subject choice and inclusion at IGCSE and Post-16 takes the breath away - outstanding. 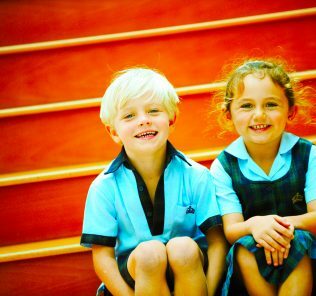 Wellington International is without question in the very top tier of Dubai schools, offering an exceptional education for children. 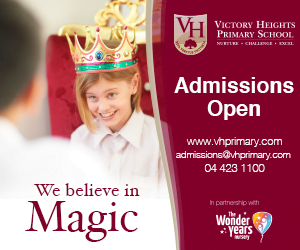 The school provides a powerful, inspirational education, one of the best on offer anywhere in the region. Outstanding and highly recommended. “At GEMS Wellington International School, we care about every individual. We pride ourselves on the warmth of our community. All our students, parents and staff feel challenged, valued and … successful. Our school is alive from early morning to late at night with enrichment opportunities galore for our students. Our strong belief in the importance of children being happy permeates all we do. Ruth Burke. Principal and CEO. 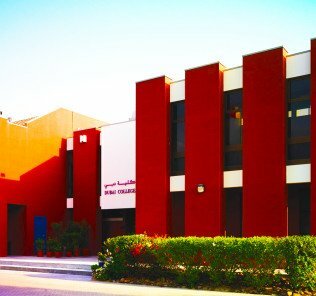 GEMS Wellington International School Dubai. 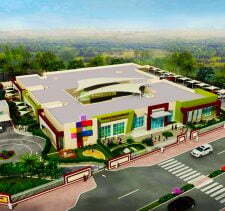 GEMS Wellington International School is one of GEMS flagship, premium schools. Occupying a prime 8 acre site in Al Sufouh 1, GEMS Wellington International is located between the Dubai Police Academy and Dubai Media City, on the opposite side to the Mall of the Emirates. 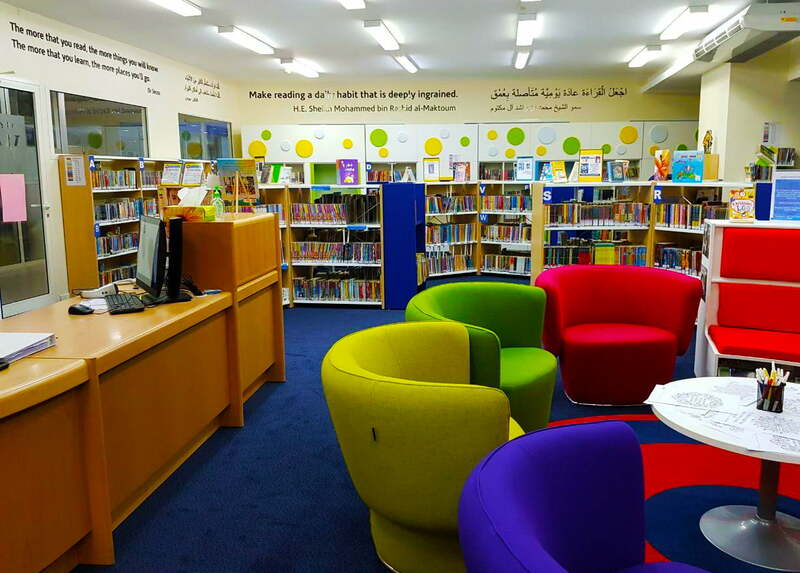 Established in 2007, and excepting a first interim inspection, GEMS Wellington International School Dubai has secured a consistent rating of Outstanding since inspections in Dubai were started. The 2017 grading, whilst flowing automatically from its 2016 grading because of the special dispensation awarded to Dubai’s most outstanding schools, nevertheless represents a straight 8 year run of achieving the highest official award available to any school in the UAE. The school takes children from 3 years (pre-KG or FS1) to 18 years of age (Year 13) and even with this broad intake, its 2600 plus student body is large by any standards. Many parents may balk at the size of the school – but the benefits of scale – namely the degree of investment in children made possible by its size, are palpable and genuinely impressive – see below. Intake is drawn from over 80 nationalities of which the largest grouping is from the UK. Children are taught by 184 full-time teachers of which the majority are British and almost all whom have relevant UK teaching qualifications. Investment in teachers and extending subject choice further is significant and ongoing – subjects most recently added include Dance, Design and Technology, Photography and BTECs in Business, Creative Media & Production and Business and IT (from 2019). Additional staffing this year (2018) includes a new teacher in Physical Education; , two new Swim Coaches and a new specialist Dance Teacher. Recent ECA additions include gymnastics, trampolining, cheer-leading, early morning swimming provision four days per week – and lunchtime cricket coaching. GEMS Wellington International School is resolutely British but, like the similarly outstanding JESS Ranches, reviewed here, provides International Baccalaureate pathways, rather than A Level, for children at Sixth Form phase (16 – 18 years). Over recent years these broadened pathways have developed to now provide the, in our view outstanding, International Baccalaureate Career-related Programme as an alternative to the standard IB Diploma. For many parents seeking the absolute best British education available with IB pathways the choice will be a direct one between JESS and Wellington International. In our earliest review of GEMS Wellington International School we had, whilst praising the school’s early academic inclusiveness, identified a mismatch in its inability to offer sufficient choices to its mixed ability students post IGCSE. This has now been resolved and the commitment to technical education alternative pathways is now significant and genuine. Where possible we would always encourage young men and women to follow either the Career-related or Diploma programmes post-16 rather than IB Certificate-only, or (to a much lesser extent) BTEC only, alternatives wherever possible. In the rather convoluted and confusing post-16 educational sector today, parents can best understand developments as being, in the best schools, designed to ensure that every child has a choice between purely academic or vocational, including business, pathways available to them. BTEC, The IB Career-related Programme and the impending launch of British T Levels (as opposed to A Levels) are designed to provide students with direct routes to university or industry at 18 years – and meets the needs, inclusively, of children who may naturally enjoy more vocational study – or a mix of vocational/technical/hands-on study and academics. Whilst simplistic, the broader the choice of Post-16 options, arguably the better any school is going to be able to meet the needs of all its children; with enough options no child will ever be pushed into a course of study that provides a poor ‘fit’ with their skills and potential ambitions. GEMS Wellington International School fees are high (see below) – but its provision of choice is a key justification of why fees need to be pitched at this level. Probably the best example of this, at GEMS Wellington International, was the securing of places In 2017 for 3 graduating students at the University of Greenwich to study “Film and TV Production” and “Media and Communication – courses designed, unlike your typical academic university courses (English, History ….) to professionally train students for careers in those professions. The investment in the technical resources to deliver BTEC and the Career-related programme is expensive – and even more so for BTEC courses like Engineering which we hope will come on stream from more schools, including GEMS Wellington International School, in the not to distant future. If post-16 provision – choice – is absolutely exceptional, the same holds true of the same investment made by GEMS Wellington International School in Key Stage 4 options. Stand-out is the school’s choice to offer all students both GCSE, IGCSE and, critically BTEC options. BTEC subjects are, we believe, as above, important in providing students with vocationally focused qualifications, and qualifications not dependent on linear examinations at the end of Year 11. Providing choice and individualised pathways is such a defining feature of GEMS Wellington International School. Other examples abound including the introduction of ASDAN courses (and certificates) for children identified with SEND and a planned new BTEC in Sport for 2018-2019. We have included below the options literature provided by the school because it provides a benchmark, we believe, for both exceptional clarity in guiding students through the complexity of Key Stage 4 options – and indicates a school genuinely committed to providing an array of examinations best able to fit the potential, gifts and ambitions of its children. With around 40 subject choices available across IGCSE and BTEC, GEMS Wellington International is setting benchmarks for inclusion and genuinely – and powerfully, meeting the needs, gifts and ambitions of the children under it care. Educated at Trinity College, Dublin (Ireland’s oldest and arguably most prestigious university and one globally recognised for its teaching studies), Ruth Burke moved to GEMS Wellington International in 2015 after eight years leading the KHDA Outstanding Jumeirah English Speaking School (JESS) Dubai in Jumeirah. Our review of JESS can be found here. Mrs Burke secured her Masters in Educational Leadership from the University of Bath. Widely considered as one of the region’s top educational leaders, she is an outspoken proponent of “distributed leadership” – and is far away from the archetypal picture of an authoritarian Head. Mrs Burke, in distinction, believes in empowering all her teachers with leadership, recognising the different but critical skills of all those working within the school – and seeks to cascade down responsibility to students too as they progress through their studies. There is none of the silo mentality of some Heads who seek to restrict information to protect their positions. Instead she sees it as a test of true leadership to plan for succession so that the school is not dependent on her for its outstanding success. It’s a breath of fresh air – and courageous too. Little wonder independent feedback from teachers and students at GEMS Wellington continues to be outstanding. Ms Burke is also highly visible, meeting parents as children arrive at the school. This we know is welcomed by parents – in a close to 3,000 capacity school building relationship building is inevitably more difficult. Warm, grounded and hands-on, on our visit (2018) we also noted the time Mrs Burke took to speak with new teachers at GEMS Wellington International to ensure that they felt welcomed – this was clearly genuine and not structured or planned for our benefit. We have also been very impressed by Mrs Burke’s subsequent follow-up to our visit, personally writing to us to clarify issues, rather than passing these to an agency or administrator. Mrs Burke clearly loves her school and wants the achievements of her children (and her teaching faculty) to be celebrated and recognised. We found Ms Burke extremely impressive. Facilities are Tier 1 and comprehensive. It would be easy to identify theoretical improvements – for example a 50M competition sized Olympic swimming Pool, but this would be churlish – few UK cities can afford one. A 50M Olympic specification pool is certainly not a make-or-break for an outstanding school and you do not need one to compete in Tug of War ….. 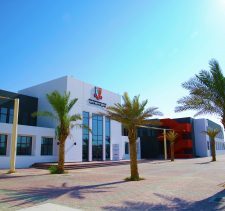 Presented as a list, facilities at GEMS Wellington International School are stellar, including a Creation Garden; Digital Signboards; dedicated Television and Radio Station; 472-capacity Princess Haya Theatre, School Observatory; Smart Classrooms; Café; 3 fixed computer/IT Suites; mobile IPad/laptop banks; Image/video/sound editing/game creation/green screen/POD casting/multimedia presentation facilities/technology; Knowledge Centre Library; Dance studio; Drama studio; 3 Art studios; Television studio; and Radio broadcasting Hub. Sporting facilities include a floodlit astro turf , health and fitness studio, multi-purpose sports hall; dedicated Primary Sports Hall; cricket nets; tennis courts; basketball courts; netball and volleyball courts; 25m indoor swimming pool; outdoor pool, FS/Year 1 play area; and dance/fitness studio (as above). Further investment is in planning. Approval has been granted, for example, for one area of the outside play space to be remodeled as an extension to the school creating a two-storey exam room. Currently GEMS Wellington International faculty are using the main sports hall but this is seen as impractical in the heat of the summer. A roof garden has also recently been completed. Refurbishments have been made to the central canteen area which forms the spine of the building on the ground floor open the full height of the building. This now doubles as extra study space and is aesthetically zoned into 6 distinct areas. This is now a hub of study as well as being the canteen area at mealtimes (effectively doubling its usefulness). These are small examples, but important and telling of the investment that is ongoing in the school in facilities, infrastructure and the tweaks that improve the experience of learning and school life for children. What any list does not capture however is the feel of a school when you walk in – or a sense of the environment it creates for its children. There are some schools in the UAE that overflow with facilities but many parents might perceive as less like a school than a hotel. At this level, facilities do not make a school but contribute to it. 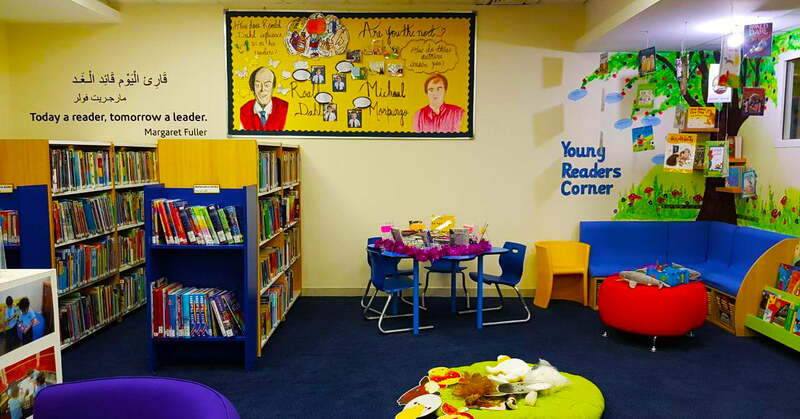 “This is a school that really stands out in the way areas are themed. GEMS Wellington International teachers have managed, almost uniquely in all my visits across Dubai and Abu Dhabi schools, to create a feel of ‘the real world’ outside school – and bring it to life in the most wonderfully rich, inciteful and thought-provoking ways. Media, Science, the Arts – all are brought to life extraordinarily and inspirationally – the role play internal areas for FS children, particularly the market stall and reading barn, are just so impressive and brilliant examples of how the school works to celebrate children, their work – and in so doing, creating a warm, happy and inspirational learning environment. GEMS Wellington International School is now publishing examination results in all subjects, and in full, for parents. 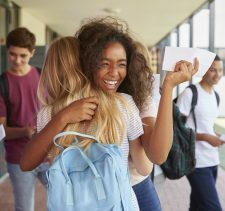 Whilst we understand GEMS historic frustration that many parents were being encouraged to believe that the better the examination results, the better the school (which is clearly not correct – particularly when comparing selective schools with those like JESS and GEMS Wellington that are academically inclusive), the decision to publish this information is, we believe, creditable. parents do need to be able to benchmark a school’s performance over time. As with JESS, examination results at GEMS Wellington International are particularly impressive given its inclusive role. 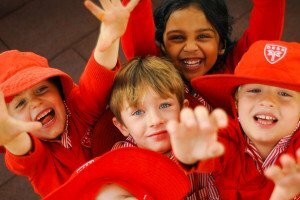 In practice, GEMS Wellington International School is one that delivers for all its children – and is a school with an open welcome to children regardless of ability. Of course, this comes with the qualification that, like all top schools, securing a lace is not far from a fait accompli given the Waiting Lists in all phases. Diploma results are listed below, with further information in our tables. There are still some gaps. we would like to see GEMS Wellington having the confidence to breakdown the number of children entering into each pathway – and the results in each. Not all children will enter for the Diploma so judging these (exceptionally good) results as a means for judging how good a school GEMS Wellington is would be misleading. 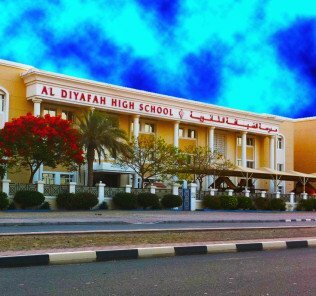 Until we can get schools in the UAE to between them agree a way of measuring Added Value – the degree to which each school achieves above and beyond expectations for each child, and to publish that information, parents will not have a fair way of judging how well schools really perform. 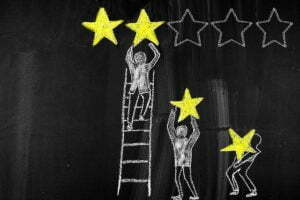 Examination league tables need to be read with a health warning that they can only provide one small part of the jigsaw puzzle of positives that go into making a truly outstanding school. In reading the following, parents should note that around 1 in 5 of children studying for the Diploma at GEMS Wellington International School achieve more than 40 points – the inflection point at which, all things being equal, children should have a good shot at Oxbridge. Fees run between AED43,050 at FS1 and AED93,658 in Year 13. This is a premium school with the fees to match. But, to take two schools we have referenced here that are, in different ways, equally likely to inspire parents, those fees are not out of place. GEMS Jumeirah College fees run to just shy of AED 90,000 in Year 13 and JESS Ranches between AED39,030 at FS1 to AED91.950 in the Sixth Form. GEMS Wellington International represents, bottom line, a tremendous achievement for GEMS, the school’s leadership, its parents, teachers – and children. We have the advantage of coming into schools on our visits of having an objectivity that must be difficult for schools to have because, inevitably, they are so engaged at the “coal face” of their day to day education of the children under their care. Stand-out are really two things. And they are arguably the most important in any school. First, subject choice. Here GEMS Wellington international shines. As an inclusive school it needs to invest to ensure that all children can meet their potential and ambitions. With its provision of the BTEC backed (outstanding) International Baccalaureate Career-related Programme, broader investment in BTEC and ASDAN courses, GEMS Wellington International School is one delivering in spades. IGCSE breadth of choice equals the very best available from any school in the UAE too. Second, GEMS Wellington International School is a happy one. It made us revisit our view of what makes an inspiring school for children – there is much to celebrate at this school. There is the promise of a rich journey for children on offer here – not just academically, but in every aspect of their growing up. “Yes, GEMS Wellington International has excellent infrastructure, lots of staff, the place is buzzing in terms of activity and ECAs. But ….scratch the surface and one finds nobody has any clarity as to what exactly is happening! For example, simple things like how long a snack/ lunch break should be is not settled yet. Or for that matter where it should take place! Academically, feedback and results are not shared in a clear and systematic manner. I have been at the school for 4 years and, every year, reporting style and method has been changed. Sometimes thrice in a year! It is important that we reflect parental views here not least because know that GEMS reads our reviews and will be concerned. This review is nuanced – everything is here for an outstanding school. It just needs managing … As with most issues at schools, communications are at the heart of the matter. All in all, for us, GEMS Wellington International is a genuinely outstanding, and special school and comes very highly recommended. Sometimes, however, it is worth talking more, and doing less. Bringing parents with you is fundamental to effective schooling…..